The RAMUS Alumnus is the network of former RAMUS scholars and current and former RAMUS mentors which supports RAMUS scholars to 'go rural'. Through the Alumnus program you can maintain contact with the RAMUS scheme and fellow doctors with a commitment to rural practice. National Rural Health Alliance Partyline newsletter and other selected publications. 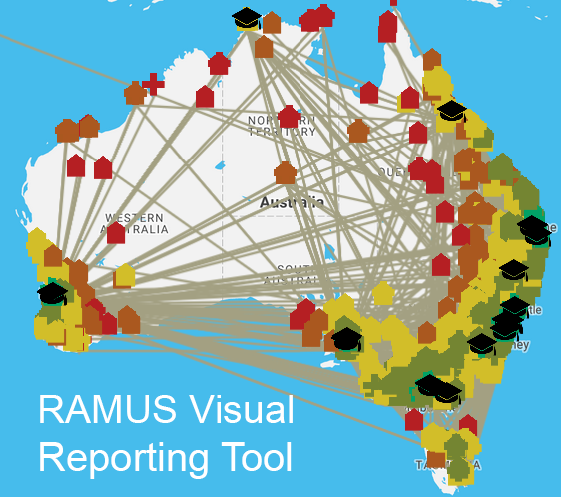 The RAMUS Alumnus is a pathway for former RAMUS scholars to take on a mentoring role in the RAMUS Scheme at an appropriate stage in their career. Scholar Alumni may elect to be included in a register of those who are willing to mentor a RAMUS scholar. They will be eligible to become mentors once they have commenced vocational training and are working and/or training in a rural or remote location. 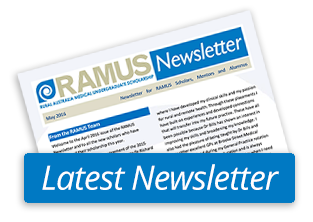 Joining the RAMUS Facebook group is a great way to stay connected with your RAMUS peers and to keep up to date with all the latest RAMUS happenings. Membership of the RAMUS Facebook group is voluntary. If you don’t wish to join, rest assured you won’t miss out on receiving information and news about RAMUS as we will continue to communicate with you through our usual channels. 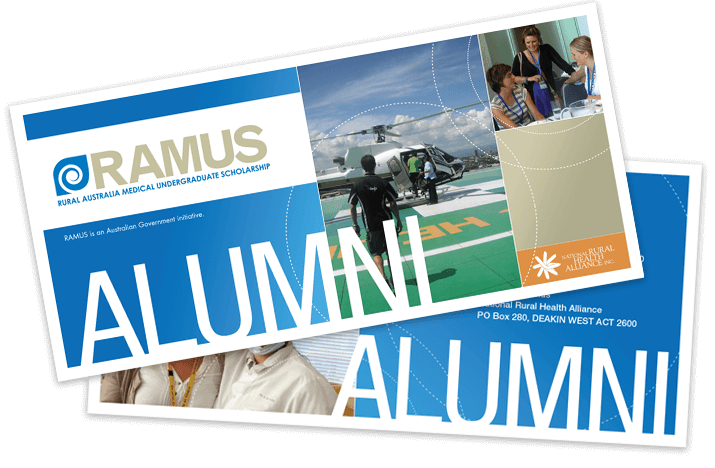 RAMUS scholars who graduated in the previous year and who have joined the RAMUS alumnus have free online access to the Australian Journal of Rural Health (AJRH) for one year. The AJRH is a multidisciplinary refereed journal. It is peer reviewed and listed in Medline, as well as being covered by other major abstracting and indexing services. It provides research information, policy articles and reflections related to health care in rural and remote areas of Australia, and is an important publication vehicle for researchers and practitioners.